Let’s have a look at some interesting tennis facts and trivia. 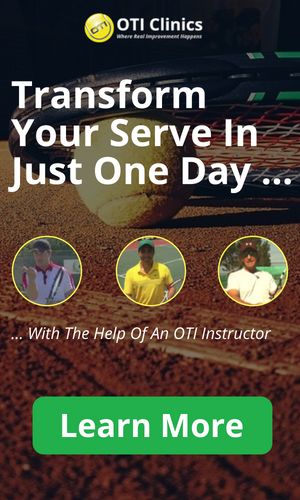 It is always fun to have a chat with your fellow tennis friends and see who knows more about this great game! 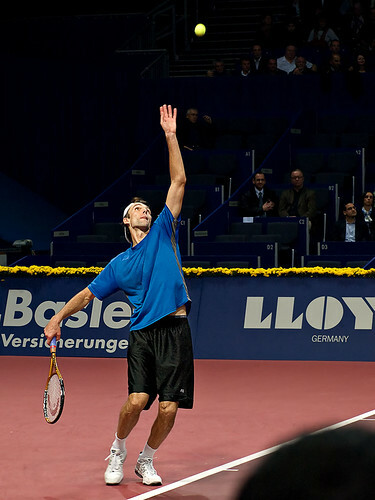 Ivo Karlovic from Croatia hit the fastest serve ever recorded in Men?s Tennis during a Davis Cup Tie in 2011. His serve was measured at 156 mph or 251 km/h. Previously Andy Roddick from the US held the record at 155 mph or 249 km/h! 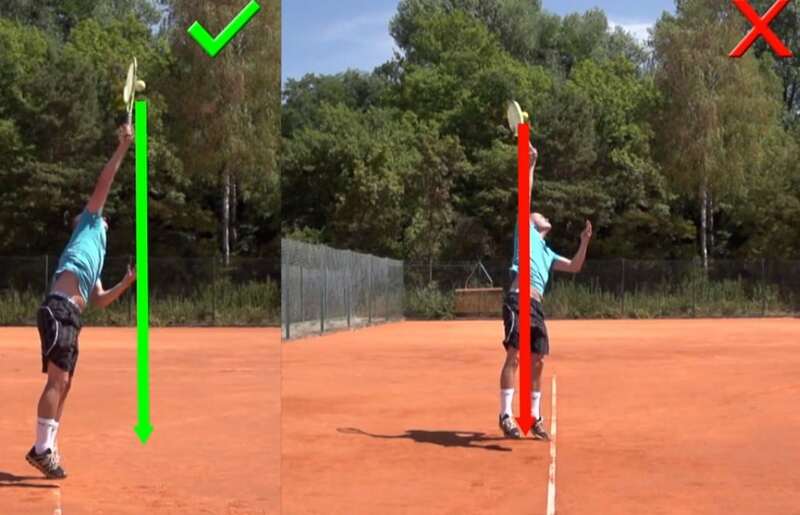 At 6’10” or 208cm Ivo Karlovic hit the worlds fastest serve in 2011 at 156 mph or 251 km/h! In Women’s Tennis, Venus Williams holds the record for the fastest serve ever recorded at 130 mph or 209 km/h. Her sister Serena Williams comes in second with a 129 mph or 208 km/h serve! John Isner served 113 aces in his historic win over Nicolas Mahut at the 2010 Wimbledon Championships! Goran Ivanisevic from Croatia served 1477 aces in the 1996 season. By far the longest match in Professional Tennis History was the 2010 Wimbledon first round match-up between John Isner and Nicolas Mahut. Isner beat Mahut 6-4, 3-6, 6-7(7), 7-6(3), 70-68. The match took 11 hours and 5 minutes and lasted three days! It was only in 1968 that all Grand Slam tournaments started allowing professionals to compete. Previously only amateurs could play in those prestigious tennis tournaments! The Association Of Tennis Professionals was formed in 1972. Roger Federer holds the record. As of March 2011, he has earned roughly 62 million dollars in prize money! Boris Becker from Germany was the youngest male player ever to win Wimbledon in singles. He was 17 years old when he won it in 1985! Steffi Graf beat Natasha Zvereva 6-0 6-0 in only 32 minutes in the 1982 French Open Final! Stefan Edberg was the first player ever to win a Career Junior Grand Slam. In 1983 he won the Australian Open, French Open, Wimbledon and US Open junior events in singles! Roger Federer holds the record with 16 Grand Slam Singles Titles! Margaret Court won an unbelievable 24 Grand Slam singles titles! 2007 was the first year that the prize money for winning Wimbledon was equal for men and women! Roland Garros – What does it stand for ? The French Open is actually named after a person – Roland Garros! He was a world-class aviator and a great tennis player! Has Tennis Always Been A Racket Sport ? No. Tennis was initially played with your hands! Who was the first black tennis player to win the US Open ? Arthur Ashe was the first black player to win the US Open in 1968! When were yellow tennis balls first used at Wimbledon ? How many strawberries are roughly ordered every year for Wimbledon ? Approximately 24 tons of strawberries are ordered for Wimbledon every year! What year was Wimbledon boycotted by the Association of Tennis Professionals ? In 1973 the ATP boycotted Wimbledon! Who was the only player that won Wimbledon after entering with a Wildcard ? Goran Ivanisevic won Wimbledon in 2001 as a wildcard entrant! Who was the only male player to achieve a Grand Slam (winning all four majors in a calendar year) twice during his career ? Rod Laver won all four majors in 1962 as well as in 1969! Who was the youngest player to ever be ranked number 1 in the world ? In 1997, 16 year-old Martina Hingis became the youngest ever world number 1!